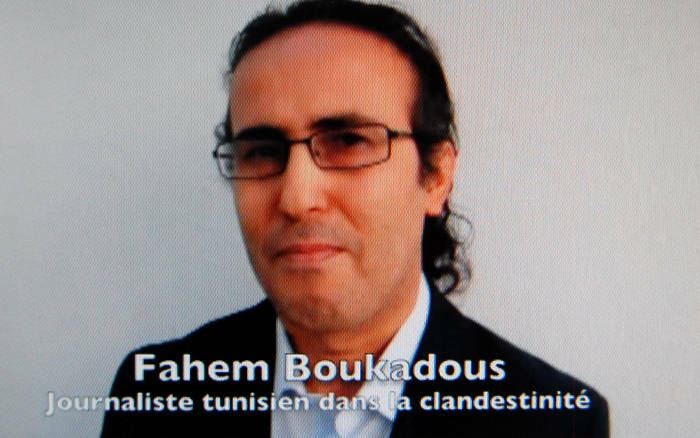 reason, who have an attachment to the North African country of Tunisia, the name Fahem Boukadous, so foreign to American ears, means nothing. It means a good deal more to `Reporters Without Borders‘ and to the US State Department that actually issued a statement (half way down the page) on his behalf, to the US intelligence agencies and military that have carefully followed the Spring, 2008 uprising in the Tunisian region of Gafsa – deemed the most extensive and militant social protest in that country’s history in the past quarter century. charges of “forming a criminal association liable to attack persons and their property” and “disseminating information liable to disturb the public order”. Many of the trials themselves seemed fixed. For example, residing judges refused to order medical examinations for defendants who claimed they had suffered torture at the hands of the local police. In Boukadous’ case, the heart of the matter is that he was merely doing his job – reporting on the events unfolding in Redeyef without government filters. This, in the eyes of the Ben Ali regime, with its long history of repression against dissent, was enough to send Boukadous to prison. after the fact, Boukadous was sentenced by a court in Gafsa to four years in prison. He now languishes in prison in Gafsa where his health is seriously deteriorating; Gafsa is located close to the edge of the Sahara some 250 miles southwest of Tunis. Summers there are difficult with temperatures frequently reaching about 120 degrees fahrenheit (50+ centigrade). About ten days ago (July 23, 2010) Boukadous apparently suffered a major asthma attack which was ignored by the Gafsa prison authorities, who refused to administer the oxygen Boukadous needed. Indeed he was actually denied medical attention at the time and was simply left in his cell to rot. According to a report that appeared on the `Reporters Without Borders’ website (published on July 28, 2010 – ie – just five days ago), it is only after his fellow inmates beat on the doors of their cells and shouted for help that the prison guards finally intervened. A doctor from the Gafsa Hospital arrives some forty minutes later. Boukadous had already slipped into critical condition. It was only through his timely intervention that Boukadous’ life was saved. 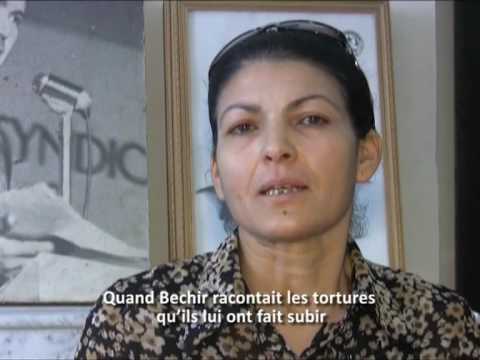 Boukadous’ wife, Afef Benaceur, has been active on her husband’s behalf, drawing attention to his situation. Without outside pressure, it is unlikely that Fahem Boukadous will live to see the end of his sentence. He should be immediately released. The charges were trumped up in the first place. The events leading to the arrest, conviction and imprisonment of Tunisian journalist Fahem Boukarous began more than two and a half years ago. In a sense, his imprisonment is a kind of `collateral damage’ to an uprising against poverty, injustice, unemployment and degradation that exploded in the phosphate mining district centered around the city of Gafsa in Tunisia’s far west near the Algerian border. Boukarous was little more than a `messenger’ – relaying with journalist accuracy the scope of the social protest movement to his country and the broader world through Hiwar Eltounsi – the tv satellite network station he worked for. But his reporting, and those of other honest journalists who were able to penetrate the district blocked off for months by Tunisian security forces, stripped the veil off the myth of the happy little North African country in which economic progress, fueled by European tourism, was leading to a generalized prosperity. Instead what came through to anyone serious enough to watch and listen, is a country divided, divided between its super rich – a bevvy of families many of the related to the country’s president Zine Ben Ali on the one hand and the multitude of the Tunisian people living growing poverty. 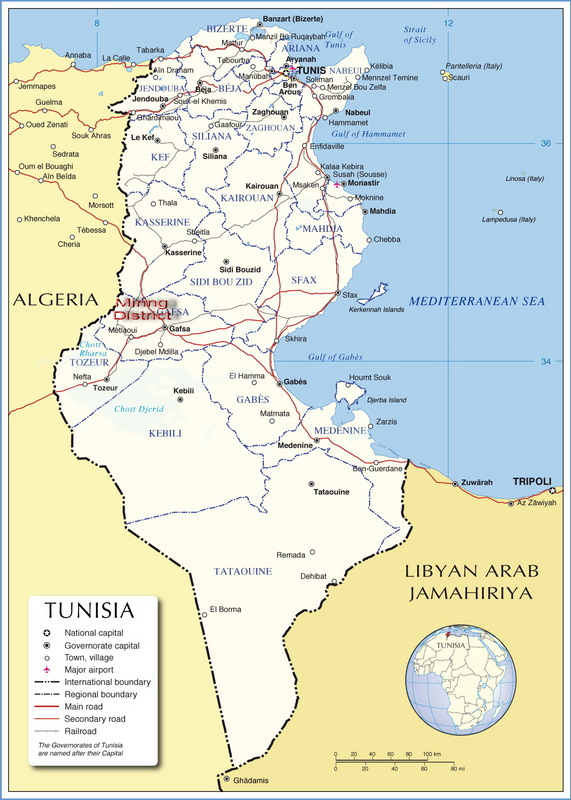 The division between the more prosperous northern section of the country around Tunis and the seriously economically and socially deprived south also reared its head. Any student of modern Tunisian history knows that again and again the calls for social justice, to make the Tunisian government live up to its promise of greater democracy and prosperity almost always have originated in the south, be it from the same Gafsa phosphate miners who took the last Tunisian president, Habib Bourguiba or the poor people from the coastal region of Gabes near the Libyan border who led the `food riots’ – demonstrations against the lifting of subsidies on bread in the early 1980s as part of the Tunisian response to IMF and World Bank structural adjustment programs. 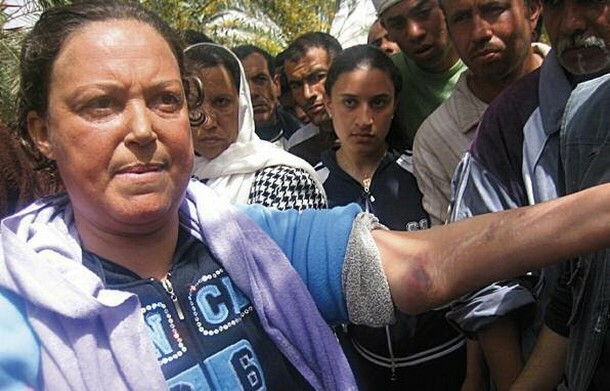 On or about April 10, 2008, 30 women from the Tunisian mining town of Redeyef took to the streets, calling for the release of their husbands, fathers and sons, held in prison in the regional center, Gafsa. Some of them were widows whose husbands had died in the mines the families of which had received no benefits. Some were the mothers of the region’s unemployed youth, that some sources say had reached the 40% level. The men they were supporting had been jailed protesting the lack of job opportunities and what appeared to be the manipulation of job hiring practices at a local phosphate mine. Specifically, a number of the activists had just returned from Tunis where they had participated in a solidarity event organized by one of the many `Redeyef Support Committees’ which had sprung up all over the country. 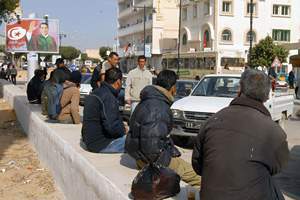 On April 4, 2008, a `day of solidarity’ was held in Tunis with some Redeyef trade unionists and activists in attendance. Returning home to Redeyef they were arrested along with dozens of others, among them Adnan Hajji, mentioned above, secretary of the local branch of the teachers’ union. In response and solidarity, the Gafsa area teachers’ union suspended classes and called a general strike that lasted three days. Belying the image of `passive’, `oppressed’ Muslim women so often portrayed in the European and US media, and fueled on by the righteous rage that comes from exploitation and injustice, the women marched to the jail to demand the release of their husbands. As they marched to the center of the town, hundreds of others joined them. The next day, as proof that protest actions can produce results, the Gafsa regional authorities released imprisoned activists to their waiting women-folk. Released prisoners and their wives then returned to Redeyef, their home town. Some 20,000 residents of this city of 37,000 turned out to greet them, more than half of Redeyef’s population. And there amidst the crowds, Adnan Hajji, a local teacher spoke to the crowds. He would emerge, at that moment, as one of the key leaders of the social protest movement which was then at its height. Amidst miners union banners and people carrying signs with slogans like “the people’s wealth goes to build palaces, while we live in tents’, `we are going on strike for the right to work’, Hajji addressed the crowd. A spontaneous and popular movement which would keep struggling despite repression and censorship had taken shape. The event which was to trigger six months of militant social protest against the Tunisian government of Zine Ben Ali and the state run phosphate company that runs all of the mines, the Compagnie Phosphate de Gafsa – CPG (The Gafsa Phosphate Company), seemed innocuous enough. union, a branch of the Union Generale Tunisienne de Travail (UGTT). The suspicion abounded that the union and the company had struck a deal, excluding all but a short list of applicants. In a region where youth unemployment is estimated by a number of sources to be as high as 40%, the results were seen not only as unfair, but more as intolerable. Almost immediately thereafter, the spark of rebellion exploded into something larger and broader than the issue of who did or didn’t pass CPG’s exam. It quickly expanded into a regional social movement for jobs, social programs and against the neglect and injustice which has characterized the Ben Ali’s approach to the region for decades. At the heart of this rebellion were the region’s long neglected youth, women, many local educators and finally, forced by the flow of events, the local union itself. During the early months of 2008, demonstrations for jobs took place at least once a week, with participants filling the streets of Redeyef in peaceful, organized and disciplined protest to the economic and social conditions of the region. 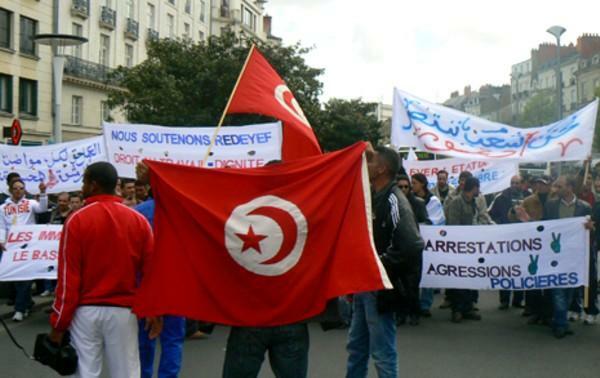 As the movement built over January and February, support committees sprung up in the major coastal cities of Tunis, Sousse, Sfax as well as in France which hosts a large Tunisian community as well. The goal of this protest movement was to enter into direct negotiations with the Ben Ali government to procure a commitment from the central government for jobs, better social programs. Interestingly enough, these first demonstrations did produce some results. 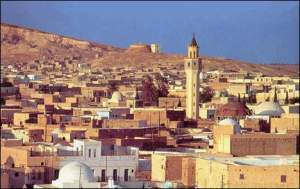 In April, both he regional Gafsa area authorities and the central government in Tunis committed themselves, or so it seemed, to address some of the grievances. Promises were made. Unfortunately, in retrospect, the Tunisian government had something else in mind and that their willingness to listen and negotiate over the grievances was simply a tactical maneuver to buy time in order to organize a crippling blow to the movement, which in essence, was nothing more than a reform movement which had been peaceful and despite everything, at least until this point, respectful of the central government. e appeared that some agreement had been reached, and the protests started to ebb, the government opened up a savage wave of repression whose goal was to `decapitate’ (lovely word) the movement’s leadership and pulverize the movement. It was meant to be an example – as such crackdowns almost always are – to others in the country who might have economic and social grievances – as to the price that people would have to pay from calling openly for justice. The crackdown was unleashed. The government accused the movement’s leadership of trying to organize a coup. . It included a massive wave of arrests of several hundred, including children as young as five and six years of age, widespread torture and other forms of repression. In June, the repression reached its peak as the Tunisian police open fired on a crowd in Redeyef, one that was not even demonstrating, but simply coming and going in the town’s market place. 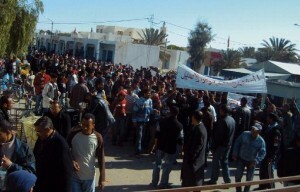 Two people died; one of them was a young man originally from Redeyef, who had found employment on the island of Djerba. He had come back home to give his first paycheck to his ailing family, was not a part of any political action or group, just happened to be in the wrong place – central Redeyef – when the police open fired and was killed. Another was mortally wounded and died later in a hospital in Sfax, on the coast. It turns out that Ben Ali was more even more threatened by a mass exodus of Tunisians from Redeyef to the Algerian border than he was even of the social movement itself. The exodus undercut his claims that Tunisia is `an economic miracle’…and that the conditions of life are so bad in this part of the country that the whole social fabric of life had collapsed. Not good for tourism or investment alas. Fearing the negative publicity that such a migration would entail if it reached the international media, the Ben Ali government sent troops to the border, not to keep people from getting in, but to stop the residents of the Gafsa region, their movement and their hopes crushed by their own countrymen from leaving! Fleeing Redeyefites were threatened with being charged with high treason, for trying to emigrate. It took the intervention of some of the protest leaders themselves – some of whom would later be sentenced to long prison terms for their role in the protests – to convince many of those fleeing, to stay…and live to fight another day. exist, were created to service the mine, among them Redeyef, Oum Laarayes, Metlaoui, and El Mdhilla. From the outset of the mining era at the turn of the 20th century until the present the Gafsa mining belt has suffered from the kinds of abuses not uncommon to mining towns the world over: brutal land grab from the indigenous population; intensive exploitation of natural resources; dangerous working conditions and along with it high accident and mortality rates; economic activities that produced nothing short of huge amounts of pollutant wastes; environmental degradation. The workforce itself is based largely on patronage, clan and family ties that have excluded many. The work includes low wages, very little job security and the management positions are often manned by foreigners, especially from France. It is a system set up to breed despair and revolt. It should not be surprising that, time and again (1930s, 1970s, 2008), it is from the workers in these Gafsa region mines – along with the communities in which they live – that some of the most militant and best organized movements of protest and social change have erupted and spread throughout the country. In the 1930s it was both the economic practices of French colonialism that were opposed. The role of the Gafsa miners, and more generally, the Tunisian working class, in the struggle against French colonialism has hardly been appreciated. Then in the 1970s, the miners and their union rose up against Bourguiba’s drift towards authoritarianism. It was their efforts, in tandem with the democratic elements in the cities, that forced Bourguiba – kicking and screaming one might add – to open to Tunisia to more of a multi-party democracy with greater press freedoms. And now, as recently as 2008, the conditions of life in the Gafsa region – inexcusably neglected by Ben Ali and his government – have led to the current uprising – and that does appear to be the correct word that describes these events, which like previous episodes includes both economic (jobs, regional development) and political (end to the pervasive repression, more freedom of expression and real democracy – not the charade that currently exists). And once again, in their own way, the good women of Redeyef are fighting for more than their own self interest, but for what one might call `the humanization’ of the whole country. Not a pretty picture and one that compares with the mines here in Colorado at the turn of the 20th century. practices first developed and instituted in the French colonial period have held fast in the post-independence period. Other than the mines, the region offers little employment opportunities. Indeed, phosphate mining is the only show in town. On the edge of the Sahara (not quite full desert but close), the possibilities for agriculture are slim and while the Tunisian coast has a large and developed tourism infrastructure that supports some 7 million foreign visitors a year, mostly from Europe, the interior areas around Gafsa are rather barren and dry. For the people living there, the mines are the only source of sustenance, the only possibility of employment in spite of the poor working conditions and low wages. Indeed it is rather impressive the degree to which economic structures and practices first developed and instituted in the French colonial period have held fast in the post-independence period. After independence, the CPG – (Gafsa Phosphate Company) – became a state owned industry run by the government in Tunis. In 1996 it was merged with Tunisian Chemical Group. Looking at the Tunsian phosphate industry on paper, it looks to be a success story, hiding its human consequences behind typically deceptive economic indicators. Tunisia is one of the world’s leading producers of phosphates, mineral fertilizers and refined phosphate products.. Compagnie des Phosphates de Gafsa (CPG) has been active in mining for more than a century. 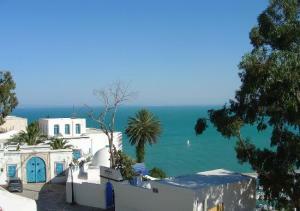 Mineral production itself under Tunisan auspices is now more than half a century old. CPG operates seven open cast quarries and one underground mine. The phosphatic field holds an important position within the Tunisian economy both in labour level and in trade balance worldwide. The Tunisian phosphate industry is fifth amongst the international operators in the field. Natural phosphate and its by-products (Phosacid, DAP, TSP, DCP…) are exported to 50 countries in 5 continents. Annual production of merchant phosphate in 2007 reached 8 millions, placing Tunisia the fifth in the world for phosphate production. Not only that, Tunisia has been more successful than many peripheral countries in the global economy in that it has successfully developed a more profitable refining component. After having been exporting all its phosphate rock production during the first fifty years of its activity, Tunisia entered successfully into phosphoric acid and mineral fertilizers production and developed this new activity so that Tunisia is now processing refining more than 80% of its phosphate production. GCT owns 4 industrial sites located in Sfax and M’dhilla (for TSP), Gabes (for Phosphoric Acid, DAP, DCP and AN) and Skhira (for Phosphoric Acid). A profitable, well run company, at least on paper, it has the potential for being an engine for Gafsa regional development. But just as many oil producing regions of oil producing countries don’t necessarily benefit materially from the wealth they extract, neither do the mining communities of the Gafsa region. Poverty, social problems with the predictable social unrest and rebellion all have a long history in the region. Those structural weaknesses were all exacerbated by, of all things, the modernization of the industry. But as it is a state owned and run company, it is even more inexcusable to so little of its profits gets recycled back to the Gafsa region. Although the modernization of the Gafsa mines began before CPG merged with Tunisian Chemical group in 1996, since then, the mines have been significantly modernized. source, the unemployment rates are estimated to be at least 30% overall, and more than 40% for youth between ages 18 and 25. Again, as elsewhere, modernization has included a high degree of sub-contracting. The mines employ poorly paid sub-contractors to do a fair amount of the work with low salaries and no job security. Again, the consequence of modernization of the Gafsa mining region is not atypical. Mechanization has led to increased productivity and profits on the one hand, but a dramatically shrinking mining workforce on the other. 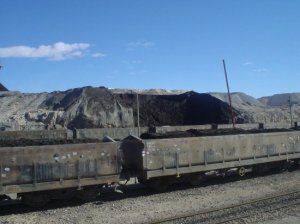 The company’s profits soar…as does unemployment in the mines. Another factor complicating the situation is that the state run mining company these past years has gone out of its way to hire men (it is almost exclusively men) from outside of the Redeyef region to work in the mine. Employees are recruited from as far away as Sfax, Sousse and Tunis. This only aggravates the local unemployment situation. It is meant, in large measure, to dilute the organizing skills and militant traditions of the families that have worked in the mines for generations. It also helped fuel a great deal of animosity among locals who have the impression – with some justification – of being systemiatically excluded from finding jobs in the mines. Likewise, modernization of the Gafsa phosphate region has brought profit to the owners, but poverty and despair to the region. Global tale – this is the Tunisian version. Fahem Boukadous’ `crime’ was simply to have reported honestly on this social crisis, but by so doing he burst the myth that Zini Ben Ali’s government has been spreading that Tunisia is an island of prosperity and social calm, `an economic miracle’. But,there is no economic miracle but more of a Potemkin village economy based on tourism; and if there is `social calm’ – it is the calm of repression a held together by one of the most repressive governments anywhere, and I might add, once again long supported financially and politically by the United States government. But more on how all that works, later. Ben Ali is indeed covering up all this, so we outside of Tunisia cannot be influenced by it. He is truly underestimating his people and i hope with all my powers that a change will come. You did a very good job writing this, so that more people can get a real picture of what kind of government Tunisia really is. I am in currently Tunisia and I can tell you that your website is being censored, as are any sites that mention Fahem (including YouTube). They are bit slick about it as instead of some sort of ‘this site is blocked’ message you actually get a forged Google ‘broken link’ page. I have been writing about my travel experiences and will undoubtedly mention Fahem. Good chance my site will be blocked (assuming it comes up in a search) and who knows what else. Let’s see if I get deported. Rock on.